Can You Copyright an Alcoholic Drink Recipe? A copyright is a legal protection for an original work, such as a book, poem, song or piece of computer software. Copyright protects a work from being copied or reproduced without the permission of the owner. As mixology becomes a more serious profession, with a more serious income for top cocktail creators, bartenders have begun to consider the best ways to protect their cocktail recipes from copying. United States copyright law does not allow copyrighting of an ingredients list, such as a list of drinks used in a cocktail. However, you may be able to copyright a recipe if it is in a tangible form and includes a “substantial literary expression," such as a description of the cocktail, an explanation of how to mix the ingredients in a particular way or an illustration of the completed cocktail. If the recipe is included in a book or other collection of recipes, then the contents of the entire book can be copyrighted. It is not possible to copyright protect a name, but some unique names can be protected by trademark. A trademark can prevent other bars or restaurants from using a drink name, and it can also require bars to make a tradmarked drink with certain ingredients. For example, Pusser's Rum has a trademark on the name Painkiller. 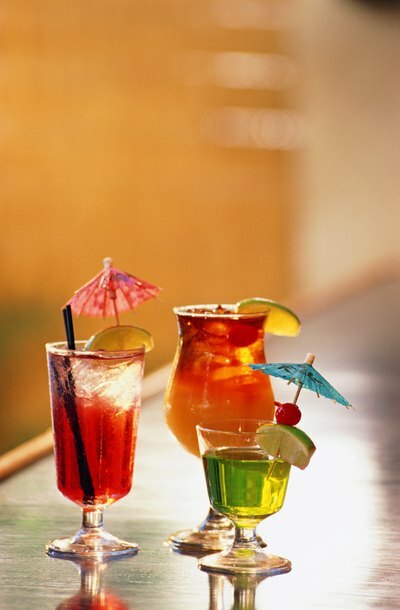 This means that a bar or restaurant cannot legally sell a drink called Painkiller unless it is made with Pusser's Rum. In 2011, Pusser's sued a New York bar called Painkiller for trademark infringement. The bar eventually agreed to change its name. According to the United States Patent and Trademark Office (USPTO), it is possible to apply for a utility patent for “any new and useful process, article of manufacture or composition of matter.” If you have invented a completely new drink, especially one that relies on a new mixology technique or unique ingredients, you might conceivably be able to get a patent on the drink. This will protect your drink form being made by anyone else, but the patent process can be lengthy and expensive and usually involves using a patent attorney. You should keep in mind that once copyrighted or patent protected, the ingredients in your cocktail will become public knowledge. If your cocktail recipe includes a secret ingredient or technique, you may not want this widely known. If you have published a cocktail recipe while working under contract at a bar or restaurant, or as a brand ambassador, the bar or brand may own the rights to any drink you created while on the job. For example, if the brand you work for publishes a recipe book of cocktails, it may own the copyright to the contents of the book. You will need to check your employment contract to determine if you retain the rights to the recipe. United States Copyright Office: What Does Copyright Protect? The Atlantic: The Era of Copyrighted Cocktails? Certain original, creative works are entitled to copyright protection. Eligible works include literary compositions, such as books, articles, screenplays and poetry; musical compositions; sound and film recordings; and original art work, such as paintings and drawings. Copyright protection exists from the moment the work is fixed in tangible form, and it grants the creator specific rights: namely, the right to prevent others from using copyrighted works without permission and the right to sue infringers for damages. Trademarks and patents afford another type of protection in limited situations where copyright isn’t available. In other cases, an idea or work might not be eligible for any of these protections. Does a Copyright Protect an Author's Creative Idea? Copyright laws give authors and other creators property rights for their works of original authorship, including the rights to reproduce, distribute, and display their works. One of the fundamental principles of copyright law is that a copyright protects expressions but not creative ideas. Although this basic rule seems straightforward, it may be difficult to apply in some cases. Can Celebrities Trademark Their Names? A trademark can be any words or designs that help consumers distinguish the goods or services of one person or company from others. Trademarks are established by using the mark in commerce -- that is, registration is not necessary -- but registering with the U.S. Patent and Trademark Office allows the trademark holder to sue to enforce the trademark. Celebrities can reap economic benefits by registering their names as trademarks.